I am so happy to bring you this pattern for the Charity Drive put together by Sonya of Blackstone Designs. 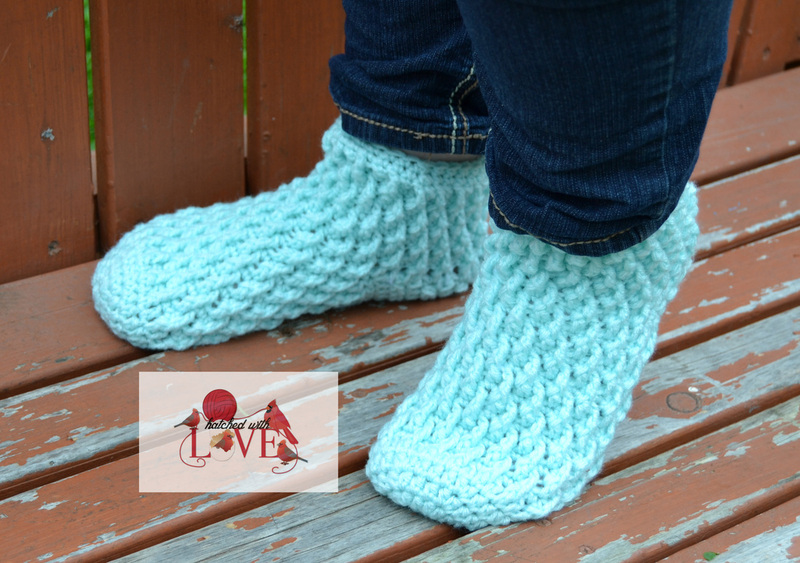 I love to make slippers!! I decided to try out some colorful scrap ones to use up all of my leftovers. Fun and easy, you are sure to fall in love with them! 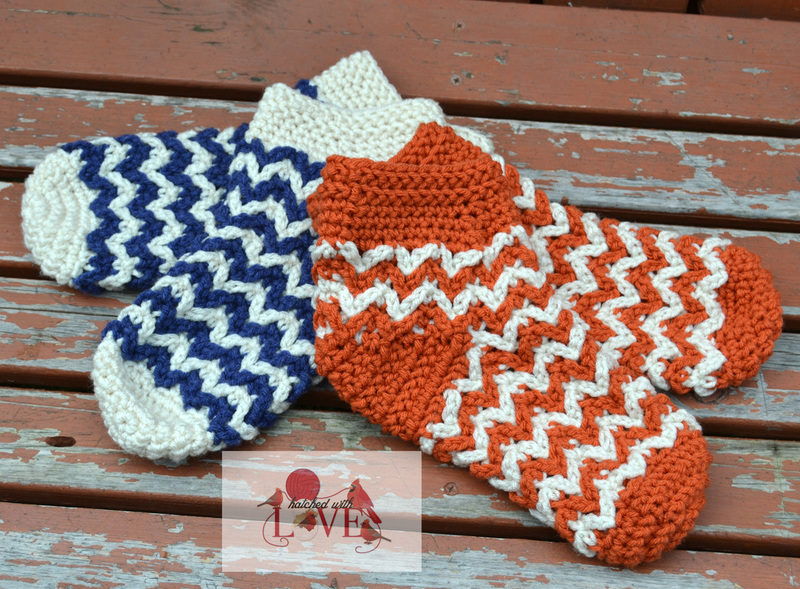 You can choose to make them with scraps or you can use solid colors if you choose instead! I would love to see what you create. Hbhdc- Herringbone Half Double Crochet: YO, insert hook into indicated st, YO and pull through st and first lp on hook, YO, pull through both lps on hook. Hbhdc2tog- Herringbone Half Double Crochet Decrease- YO insert hook in next st, YO and pull through st and first lp on hook, YO, insert hook in NEXT st, YO, pull through st and first lp on hook, YO and draw through all 3 lps on hook. **NOTE: You can also use a hdc in place of the Hbhdc, if you choose but the slippers will lose their texture. *If you choose to change color after every row, fasten off and weave in ends before changing colors. This will make weaving ends a lot easier in the end. *Beginning Ch does NOT count as a stitch unless otherwise stated. With H hook and choice of color. Rnd 1: Ch2, 8sc in 2nd ch from hook, join with sl st. OR Magic circle, 8sc, pull closed, join with sl st.
Rnd 5: Ch1, hbhdc in same as joining, and in each st around, join with sl st to first hbhdc. Size 5-6: Repeat Rnd 5, 8 MORE times. Size 7-8: Repeat Rnd 5, 10 MORE times. Size 9-10: Repeat Rnd 5, 12 MORE times. Size 11-12: Repeat Rnd 5, 14 MORE times. NOTE: If you are changing colors every row, when starting the next color, join in the first st of the previous row instead of turning. ​Row 7: Ch1, TURN, sc2tog, sc2tog. 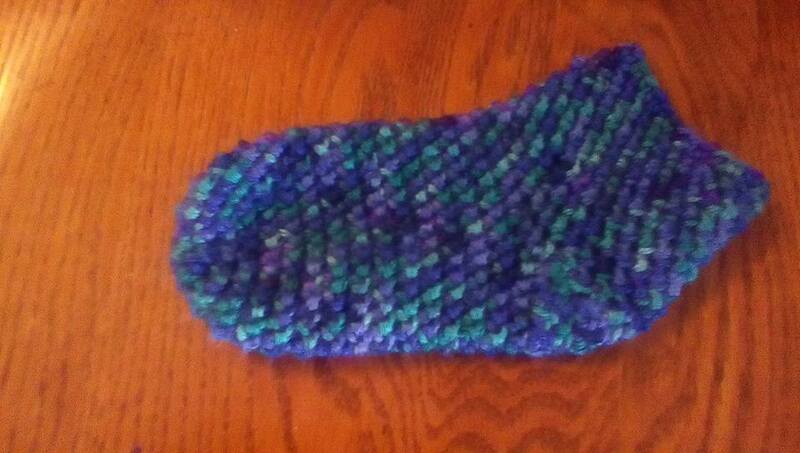 **NOTE: If you did the color change after every row, I continued with the cuff using the same color as Row 7. Rnd 2: Ch1, hbhdc in same as joining and in each st around, join with sl st to first hbhdc. Rnd 3-7: Ch1, hbhdc in same as joining and in each st around, join with sl st to first hbhdc. Rnd 9: Ch1, sc in same as joining and in each st around, join with sl st to first sc. I take pride in my work. Please if you have any questions, comments or suggestions, please email me at hatchedwithlove@Gmail.com. Please do not copy, sell, redistribute or trade in anyway.. You may sell completed items but please give credit to me for the original design.. You MUST use your own pictures, these pictures belong to me. 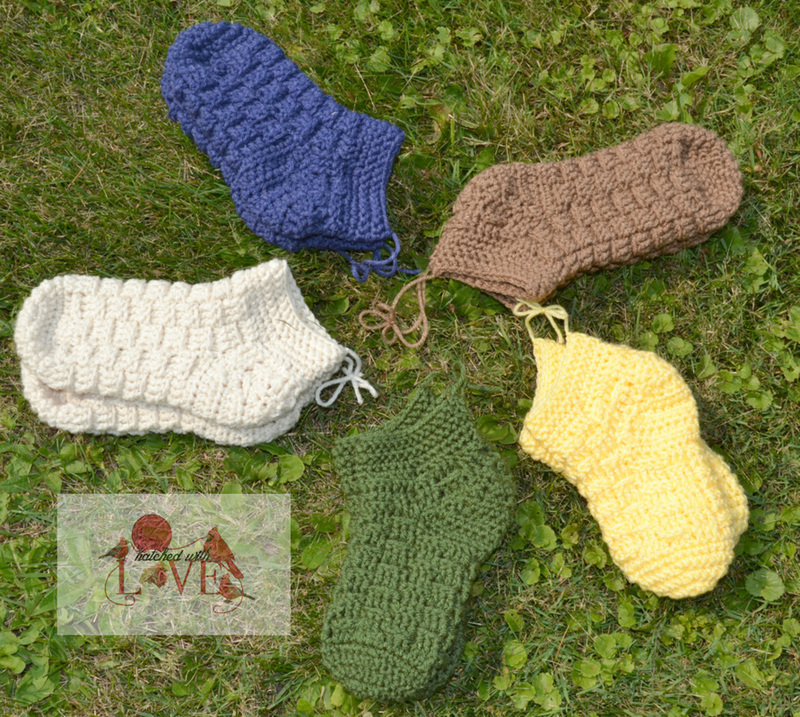 If you loved these, stop by my ravelry shop and check out the other slipper sock patterns I have for sale! All patterns are on sale for 50% off through Friday, May 6, 2016. No code needed!! As we approached the 2 year mark of my grandma's passing. I knew it was going to be tough. Every year is going to be tough around that time. I miss her so much!! It will always be a hard time, mostly because it so close to the holidays. We always had things we did around that time of the year, together as a family. Grandma always got ideas and we always went with it, from baking Christmas cookies the Friday after Thanksgiving, to different crafts we would make while all the men in the family would be out hunting. It was a bonding time and preparing ourselves for Christmas. All of the Christmas programs from school to church that my grandma would never miss. Talking about what to make for Christmas dinner, we had started to push towards a non-traditional dinner, of finger foods (appetizers) and lots of deserts. Instead of having a gift exchange, we would play a dice game, where if you rolled doubles, you picked a gift. Grandma had been hand crafting such cute Christmas decorations, it was always fun to see what we would get, and we were all together, sometimes the conversations turned to just laughing!! The last few Christmas' while Grandma was here, will always be the ones I will cherish. Holidays are just not the same anymore. This year I was not expecting the phone call I received on the exact same day my grandma had passed away. I had woken up that morning already sad. The whole week before I would cry for no reason. But on November 18, my husband called me to let me know that his Aunt Michell had passed away in her sleep. I was in complete shock, she was only 41. How could she have been taken away so soon? It was also hard to deal with knowing that both women my daughter was named after, had both passed away on the exact same day, just 2 years apart. I for some reason always think of the strange coincidences because I can never get my mind to shut off. A million things go through my head, and I even have a hard time sleeping at night from it. Most days these passed few weeks have been filled with exhaustion. I have slowly been working on the gifts I have started. I just hope that I will get the burst of energy so that I can finish them on time!! As we made the trip to attend the funeral, my Christmas ideas and crafts started to fall behind. My 2 year anniversary for my page is around the same time, I had big plans for making a celebration out of it, with new patterns and giveaways. But I was not able to put it altogether this year because of the circumstances. 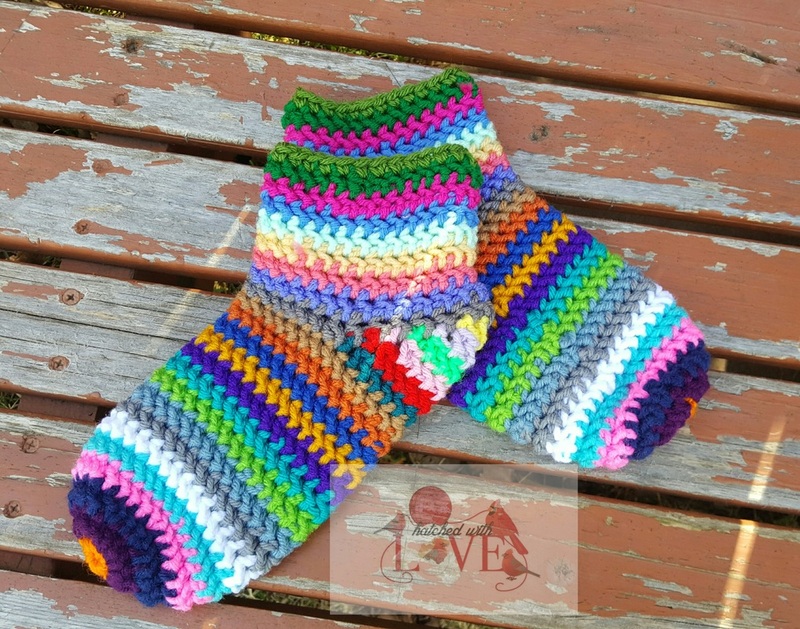 I have a few pattern ideas that I cannot wait to work up and getting ready for you, but until after the holiday I am not sure that I will be able to. Because I have been feeling a little depressed, my husband and I have decided that we are going to make some HOMEMADE crafts together to give as gifts to some friends and family!! Now mind you, my husband is far from crafty, and this was ALL his idea. We are taking this weekend to finish up our Christmas shopping, doing crafts and taking the kids to Bentleyville in Duluth, MN (an awesome lighted Christmas walk, complete with hot chocolate and cookies!!).. in hopes to lift my holiday spirit back up, so I can enjoy the last few weeks before Christmas in a much better mood! Do you use pinterest?? I have taken to finding ideas for different crafts. Here is my holiday board, if you would like to follow!! http://www.pinterest.com/jencmjhatch/holidays/. There are a few things that we will be making this weekend on there!! The next best thing is to have the celebration for my actual birthday just after the new year begins!! I hope you will be here to join in on the celebration, as soon as I am able to, plans will be announced!! I want to take this time and thank you all for being here over these passed 2 years, I never imagined my hobby would turn into what it has. It does make me happy to be able to sit down and enjoy a cup of coffee with my hook in hand, while watching tv or listening to music!! I have made some awesome friends that I appreciate their kind words when I am feeling down. Merry Christmas to you and your family. May you be blessed with love and happiness over the holiday!! Hatch-ed With Love turns 2!! Hatch-ed With Love started, November 29, 2011. Eleven days after I lost my grandma!! She always told me that I should sell my things, I never thought my things were that good. 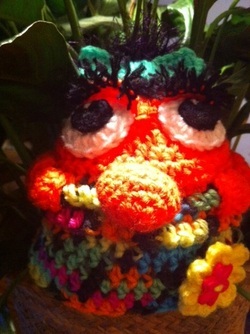 I have been crocheting since I was 6 years old, in 2011, that was 23 years!! :) I am experienced with almost all techniques!! My cousin's girlfriend, said I should make a facebook page, at that time, I had never heard of having a page. I had been without the internet since having my youngest son the year before. I only had my cellphone. I was not sure that I would be able to run anything that way, or do much from my phone. I played around with everything, and I asked her if she could think of a catchy name, then I would start my page!! And that is when Hatch-ed With Love came to be (thank you Tricia!!). At first I only wanted my friends and family to know about my page, I never shared it with anyone else.. I did have 75 fans. And I was satisfied. I was very nervous about sharing my page with anyone else.. 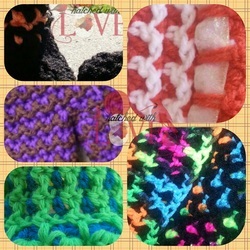 I came across so many pages, I did not know that so many people knew how to crochet!! I finally decided to share my page on one of the "tag your business" posts on a few different pages. I soon had 100 fans, then 200 fans, then 2 years later I have reached over 4,000 fans!! My journey began as selling finished products!! I just wanted to make a little extra cash to help with me not working (after having my youngest son, daycare is just too expensive). 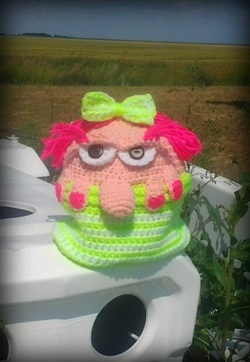 But I was creating things on my own, with no pattern, (loopy cake hat, spongebob, bubble puppy, minions (before there were 100s of patterns available)) and when I would post, I would get so many people asking for the pattern. So I finally sat down and wrote out the pattern for my loopy cake hat!! I had so much fun with it, that I soon wrote up the pattern to Guppy Puppy. 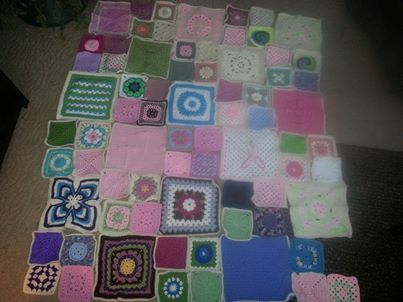 And I know have a selection of 81 patterns available as of today (11/27/2013). 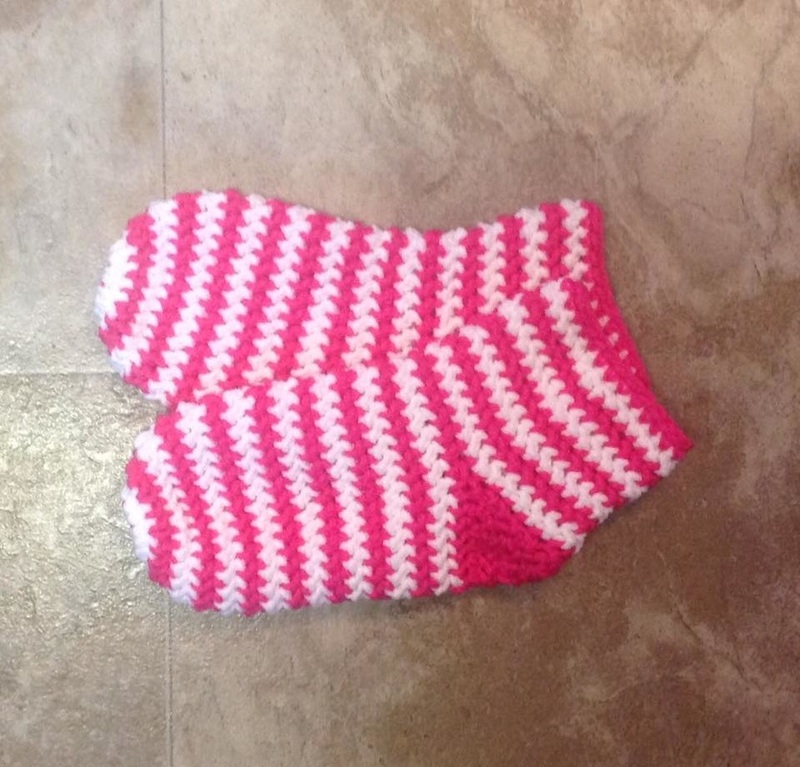 They can be found on ravelry and craftsy!! I never expected my business to grow into what it has today!! I only have you to thank!! With all of the continued support and love that you have shown, it has pushed me to do more!! I am every so grateful for each of you!! What better time to say thank you then around the time of the year when you should be the most thankful!! This time of the year, although is a hard time for me to get through, I learn to appreciate things that I used to take for granted.. Family and friends are the most important things in life!! I have made so many friends over the last 2 years, and although I may not have met them, the love and support they have given me is something I will forever cherish!! My group of testers are amazing ladies, and I cannot thank them enough for what they do for me!! They put up with my crazy ideas, and help me get them out to you to create some beautiful things!! Please stop by on Friday, Saturday and Sunday for some limited FLASH sales, a new release, a re-release, some giveaways, and some deals that you will not want to miss!! I have been busy, working on some fun new things!! I had so much fun with the stitch that I decided to make another new collection!! Here is a sneak peek of what to come!! There are 5 new patterns with this new design, 2 of them are combined into one!! What do you think they could be?? 3 are things I have never designed before and am really excited to show you!!! I am planning a release day for all of them, possibly another one that is not in this collection on Wed, October 16, 2013!! 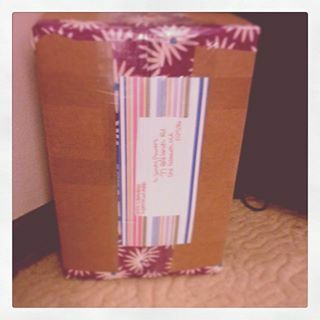 I hope you will come back and find out what these possibly could be!! My testers have been working really hard with me on these!! I have named the collection the Judy collection, after my other grandma. She was my step-dad's mom. They moved to Florida many years ago so I did not see her as much as I would have liked. But I loved her very much and not seeing her was difficult. She passed away the same year my other grandma did. On May 3, 2011 from a heart attack (she had heart problems, and had bi-pass surgery). 2011 was the hardest year of my life!! But I want to honor both of these lovely ladies who were dear to my heart!! For those of you who have been supporters of my page for awhile, then you probably already know all the stories of my grandma and the fact that she is the reason behind my page. For those of you who were not aware.. My grandma was my biggest fan, my biggest supporter and she is a huge inspiration to me. After she passed away in November 2011, life has not been the same, it goes on.. but I really wish that she was here. I try to find ways in my work to make her proud and bring her out in my work!! In 2007 we learned that my grandma was in advanced stages of Chronic Kidney Disease, she was a diabetic and had quite a few health problems, a few that were from the diabetes. In January of 2008 my aunt donated one of her kidneys to my grandma (her mom), we thought it was going to make her better. Well while in the hospital my grandma had an allergic reaction to the blood thinner, and it ended up killing the new kidney. They had to remove the kidney, and then the only choice we had left was dialysis. To make a long story short, we lost her after her fighting as long as she could on November 18, 2011. When we learned of her kidney issues, we started walking in our local kidney walk. To raise money to help spread awareness of Kidney Disease. For the past few years I have brainstormed a few ideas for raising money for our team. I finally decided to create a pattern that I could donate money from the sales to the National Kidney Foundation. I will also be taking orders and donating money from the sales as well!! 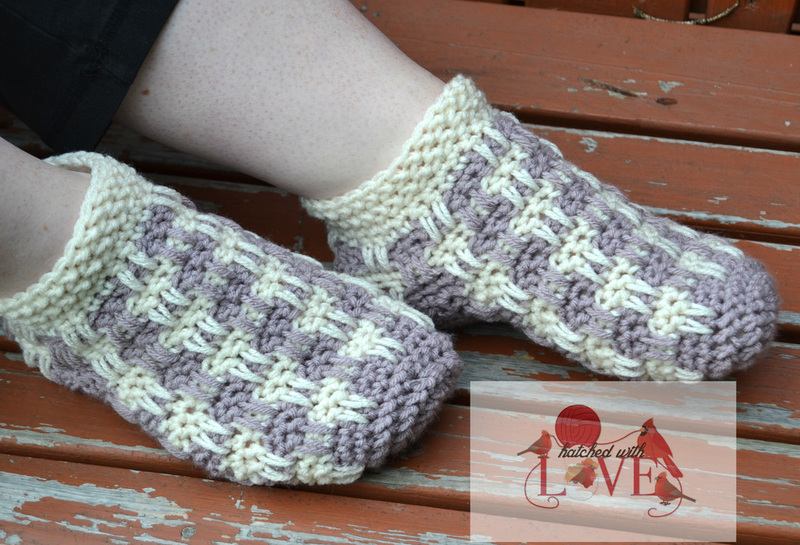 It is a fast and fun pattern with a unique stitch!! I will be donating $1 from every pattern sale and $5 from any hat sales in honor of my grandma, from our team Just Kidney'ng!! I am just trying to help make a difference!! Thank you for your support and I hope you will find it in you to read the facts on Kidney Disease. 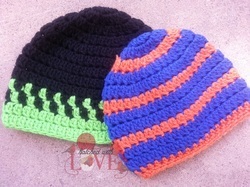 If you would like to order a made to order hat in your choice of colors, please email me at hatchedwithlove@ymail.com. Visit www.kidney.org for more information. Here are some facts about kidney disease!! * 1	in 3 American adults is at high risk for developing kidney disease today. *High	blood pressure and diabetes are the 2 leading causes of kidney disease. breast	cancer and prostate cancer combined. until it	is very advanced. their	kidneys are working prooperly. removing	waste and excess fluid. *Every	day 13 people die waiting for a kidney. *Most	people have 2 kidneys, but it is possible to live with only one. 180,000 live	with a functioning kidney transplant. interesting and hope you will get checked out!! Well.. The contest did not bring in many entries.. Must be busy this time of year with school starting for most kids and end of summer activities.. I did receive a few though and I am very appreciative of the ladies who took the time to enter!! Thank you from the bottom of my heart for making me giggle when I opened each entry!! 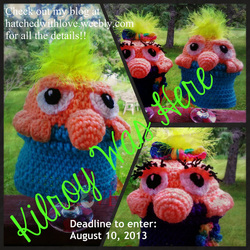 Thank you for taking time out of your day to enter and place Kilroy/Kiljoy all over!! I hope the next contest will be even better!! 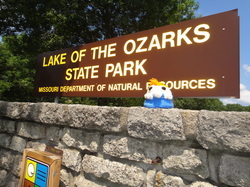 Kilroy at Lake of the Ozarks State Park in Missouri!! He must be a ladies man!! Kiljoy peeking out of the lilies. As far as prizes go.. I was hoping there would be more entries and I would have more prizes and judging.. Since there were only a few.. 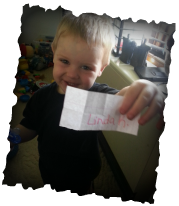 I put everyone's name in a hat and had my sweet Jaxon pick a name out.. He was so excited to get to help me.. He wanted to pick them all!! Ms. Linda.. He picked you as the grand prize winner.. if you would email me at hatchedwithlove@ymail.com and let me know your favorite color and your home address.. I will mail your surprise.. Some might wonder why I started making graphs.. It was definitely not to step on anyone's toes.. or get in the way of others work.. (not that anyone has said that.. just want to make that clear)..
My oldest son's girlfriend likes outdoors and hunting and camo.. I thought well I should make her a graph-gan.. (my new found love!!).. I knew the Browning Love was what I wanted.. I just could not find a graph.. 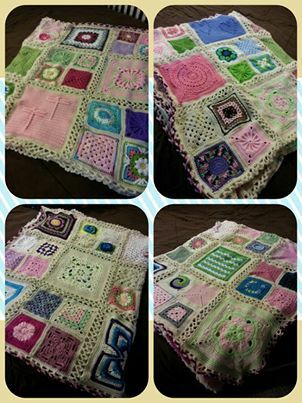 So I asked my awesome friend Tera from Trifles N Treasures if she could help me figure out how to make one.. so she lead me in the right direction!! I originally had decided to use it for personal use.. then I started messing around with the program.. and created Turbo.. It is very addicting if you want to know!! I even got my son hooked on making them, he to has made a few of them.. I have to fix them a little bit before I can release them.. but he did a FANTASTIC job!! I am open to taking special requests.. but I will say that if I know of a graph somwhere by someone else of the same design.. I will send you in that direction first before I will create anything.. Thank you for your understanding with this part!! I don't want any drama, I will respect you, if you respect me!! We can ALL play nice. I am keeping my prices low.. but know that they do take quite a bit of time to make.. to get them perfect for you.. 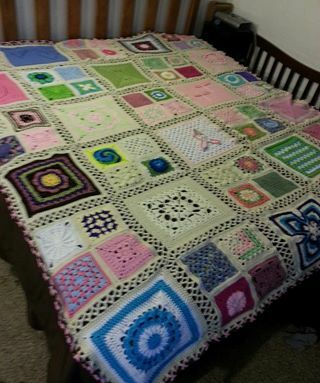 I just know that the work on the afghan makers end is much more then my time to make the graph.. a lot of money for the right colors.. and a lot of patience to complete!! I really enjoy finding new crafts.. 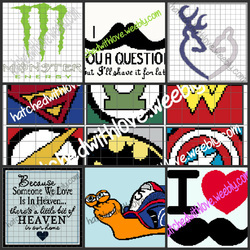 This is something that I have been wanting to do for a really long time.. back when I did a lot of counted cross stitch!! I wanted to make my own.. but I never had a clue of where to even begin!! So Thank you Tera for helping me with this!! Who is ready for a contest?? Let's find out the fun places we can place Kilroy!! Create your own Kilroy Was Here Hat using my pattern Kilroy Was Here you can purchase it through ravelry..
Take a fun picture that represents your town.. Find a unique landmark to place him.. Email me at hatchedwithlove@ymail.com NO LATER THEN: August 10, 2013 at midnight (CST) your picture.. and tell us where in the world you are.. I will upload an album on my Facebook page www.facebook.com/hatchedwitlove so we can look through everyone's fun places to put Kilroy on August 11, 2013. 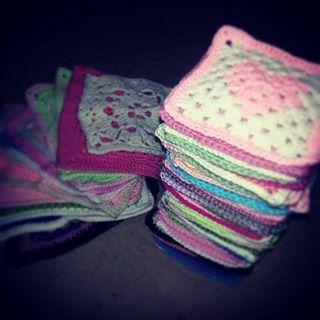 I will use a panel of trusted judges (for some fun catergories) and random.org to decide a few winners.. depending on how many entries there are.. the more who enter.. the more prizes I will give away..
Prizes will very from FREE patterns from me.. to gift cards.. to a surprise mystery package.. 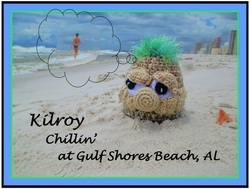 So get to thinking where the most unusual place you can place Kilroy is and Have Fun!! Can't wait to see! !